Craft something special for the little ones this holiday season with this Kids Christmas Shirt Bundle. You will receive 15 cute and funny designs that are perfect to use on t-shirts, jumpers, blankets, hats, holiday cards and anything else your creating mind can think of. All SVG files are suitable for both Cricut and Silhouette cutting machines. 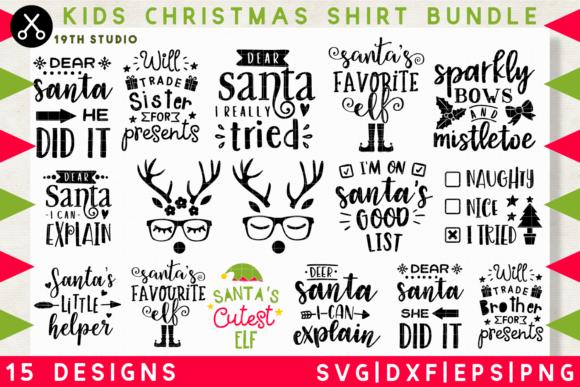 All the files in this bundle are in these formats: SVG, DXF, EPS and PNG.